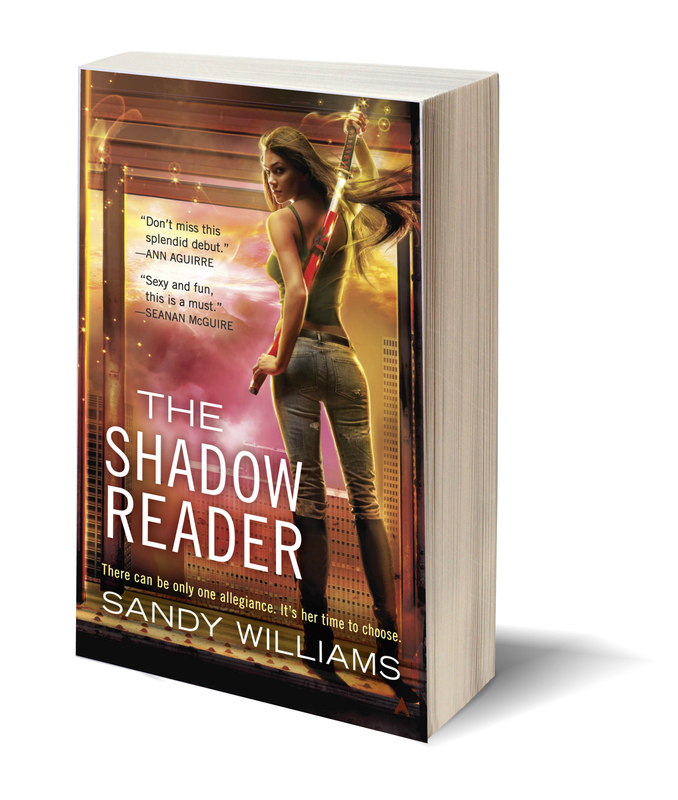 Today I’m pleased to welcome Sandy Williams, author of the Shadow Reader trilogy! 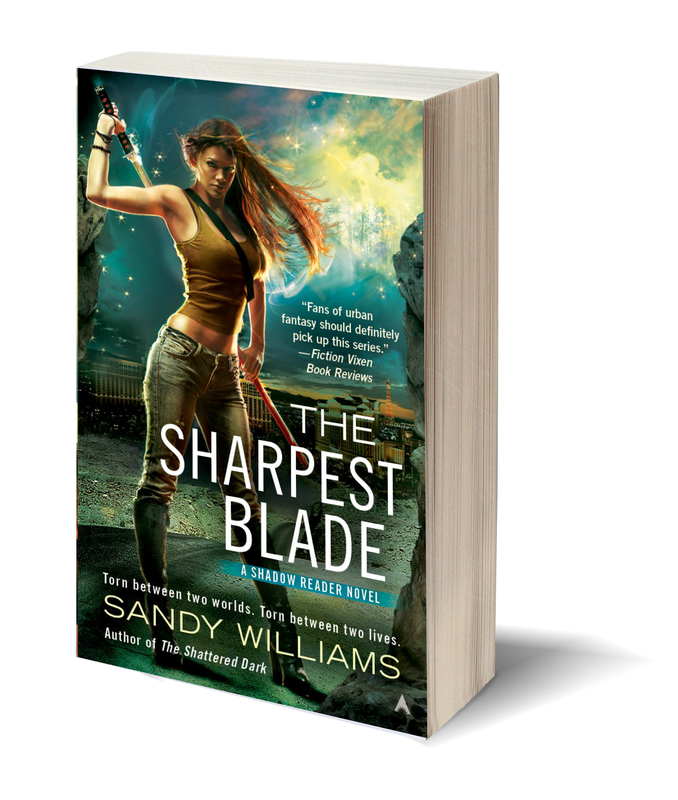 The final book in the series, The Sharpest Blade, was released about a week ago, which means that book two has been out long enough that she is sharing her favorite scenes from it. There is also an opportunity to win a SIGNED copy of either The Shadow Reader, The Shattered Dark, or The Sharpest Blade—and this giveaway is open internationally! Last year on my blog tour, I wrote about my favorite scenes from the first book in the series, The Shadow Reader. 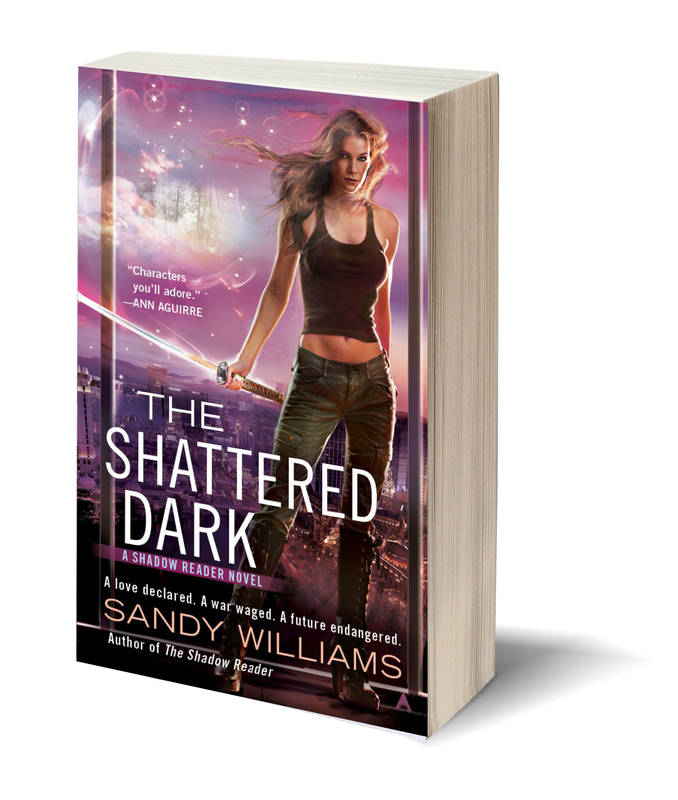 Now that The Sharpest Blade is on shelves, and The Shattered Dark has been out for over a year, I can write about my favorite scenes from the second book. Here are my top five. 1. The escape from Rhigh. This scene was so much fun to write. Writing action comes easy to me, and Aren was very Aren in this scene. He’s come up with a crazy plan that shouldn’t work, and it involves the reputation he’s built for McKenzie. The whole super scary shadow-witch thing entertains me, so any chance I get to weave it into the plot brings a smile to my face. 3. Chapter 22. There’s another little plot twist in this chapter, but the thing I love best is the showdown between two secondary characters. I’ve been wanting revenge on that one guy since the end of the first book, and when I finished writing this chapter, I might have fist pumped the air. 5. The end of the book. Yeah, the part everyone wanted to kill me for. That little plot twist makes me so happy. I think it also makes me a cruel, cruel author. Sandy is the author of The Shadow Reader novels. 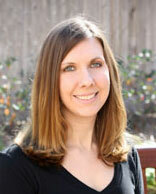 She worked as a librarian until her husband whisked her off to London on an extended business trip. She’s now back home in Texas, writing full-time, raising twin boys, and squeezing in time to play geeky board and card games like Settlers of Catan, Dominion, and Runebound. Courtesy of the author, I have one copy of any of the three Shadow Reader books to give away—the winner can choose which book in the trilogy they would like. This giveaway is open internationally! Giveaway Rules: To be entered in the giveaway, fill out the form below OR send an email to kristen (AT) fantasybookcafe (DOT) com with the subject line “Shadow Reader” and which book in the series you would like if you win. One entry per person. This giveaway is open to anyone, and a winner will be randomly selected. The giveaway will be open until the end of the day on Saturday, January 18. The winner has 24 hours to respond once contacted via email, and if I don’t hear from them by then a new winner will be chosen (who will also have 24 hours to respond until someone gets back to me with a place to send the book to).